Confront Corruption and Demand Democracy vigils are being held tonight nationwide, and are endorsed by several DI partner groups. The DC event is from 8pm - 9pm at Lafayette Park, across the street from the White House. To find a vigil near you, go here. We already have nearly 40 participants, including interns from our partner organizations NAACP, Common Cause, Arab American Institute, Greenpeace, Sierra Club, Public Citizen, and Every Voice, with more signing up all the time. RSVP now! 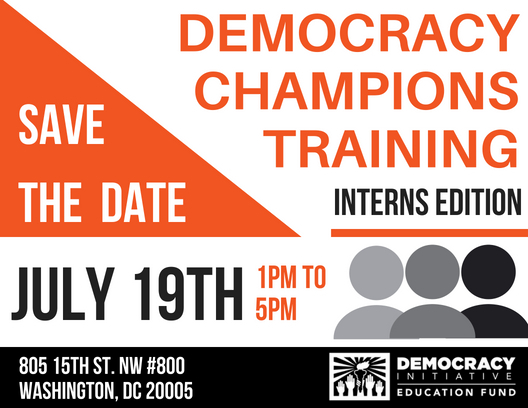 The Democracy Champions Training aims to provide interns with a larger perspective connecting the issues they care about and work on each day with overarching democracy issues. 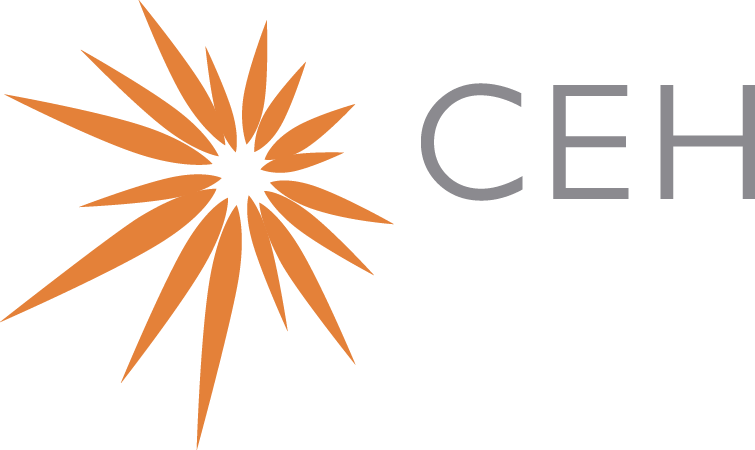 Interns will develop the skills they need to take their DC internship experiences home and create an impact there. With a focus on interpersonal communication, interns will learn how to reach out to people in their communities and get them involved and interested in the issues that matter. If you have interns who are interested in attending, please instruct them to RSVP here! We need a fair, accurate Census in 2020. 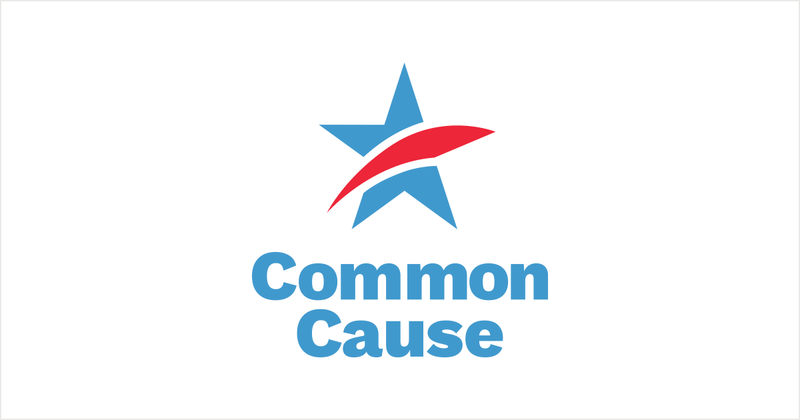 Our friends over at Common Cause are asking for your help to stop the Trump administration from adding an untested and unnecessary question on citizenship status to the 2020 Census. Chemical and food manufacturers are up to no good. They just introduced a law in D.C. that would take away your right to know about dangerous chemicals in their products. This law would eliminate state requirements for labeling and disclosure. That’s right, the same labels that let you know if a product has chemicals known to cause cancer, hormone disruption, birth defects, and other serious issues would vanish if this law passes. 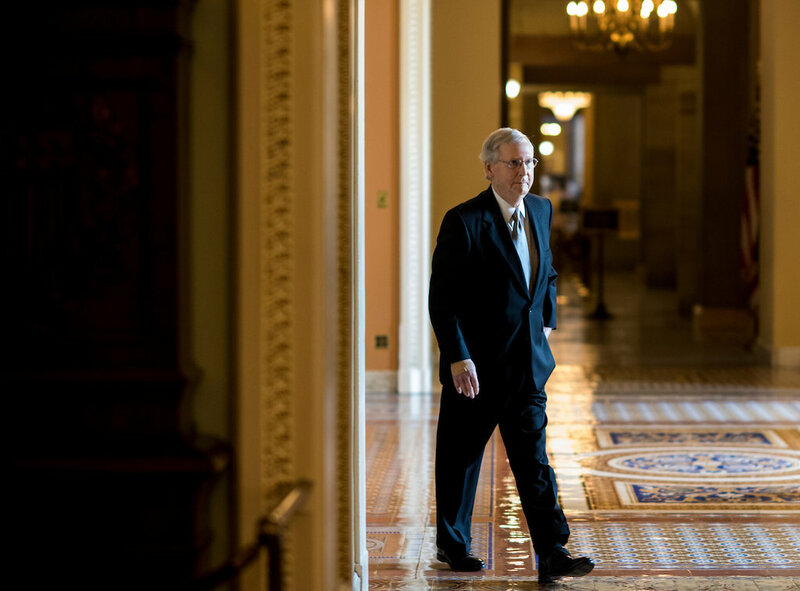 That’s why we’re calling this the #CancerCoverup bill. We need to make sure our political leaders hear from us! Click here to tell your representative that you have the right to know what's in the products you use! 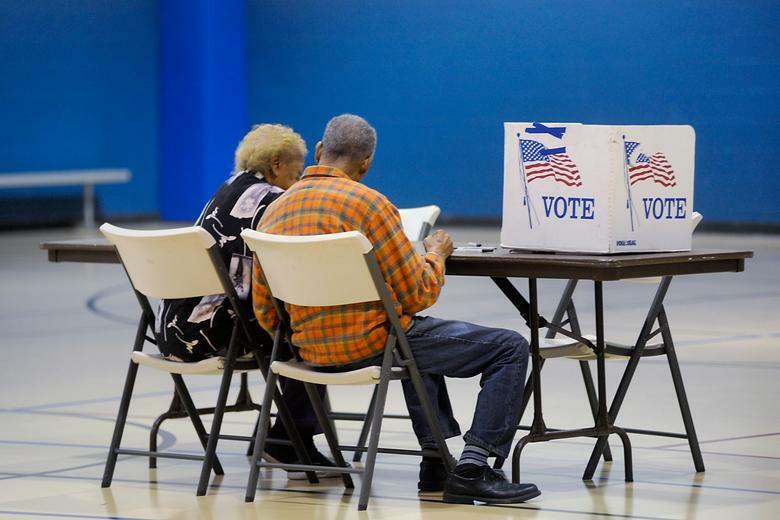 While the new measure may appear innocent, as it requires every early voting site to stay open 12 hours a day each weekday, its true impact is far more sinister. This change occurs after most counties set their election budgets, meaning these new regulations will force many counties to close their polling locations to avoid going over budget. Even more explicitly anti-democratic is the provision forbidding early voting places from opening the Saturday before elections. Unsurprisingly, a substantial number of minorities, especially black people, voted on this date in 2016. Read more here. A midnight announcement from the Treasury Department on Monday indicated the IRS will only require certain tax-exempt groups to report their donors, which significantly does not include dark money groups that engage in political spending on issues and in campaigns. According to Fred Wertheimer of Democracy 21, “The Treasury Department opened a massive loophole that will, as a practical matter, allow Russia, Russian oligarchs and other foreign interests to launder unlimited amounts of undisclosed, illegal contributions into federal elections.” The more secret money that the corporate and wealthy interests pour into elections, the less we know about who is influencing our elected officials, and the less power we have to win on our issues. Read more here. STATES SLOW TO PREP FOR HACKING THREATS-WILL OUR VOTES COUNT? Despite both Congress allocating $380 million to the states in electoral security funding for the 2018 midterms and the recent indictments from the Russia investigation into meddling in the 2016 US Presidential election, states have failed to provide a plan for use of their funds. 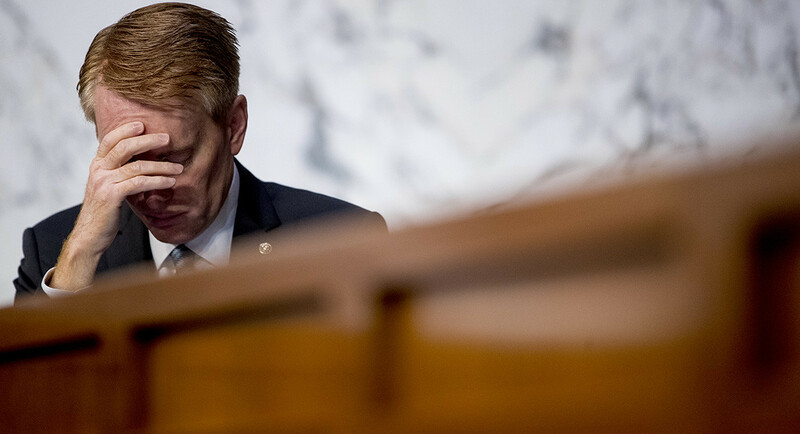 While a few states are planning to install new voting machines, in general states have failed to correct their most pressing electoral security issues in the months before midterms. States must work quickly to protect voter databases, as they are one of the most vulnerable elements of our electoral system. Do not let our vote go unprotected this November! Read more here. DI partner Arab American Institute has launched the #YallaVote Hotline for the 2018 election season. The hotline is staffed by legal experts and both Arabic and English speakers who can answer questions and address concerns on voting day. These experts can also provide legal support to address voter suppression or disenfranchisement in your state. Please spread information about the hotline widely, so that all voters are given the information and support needed to exercise their constitutional right to vote. 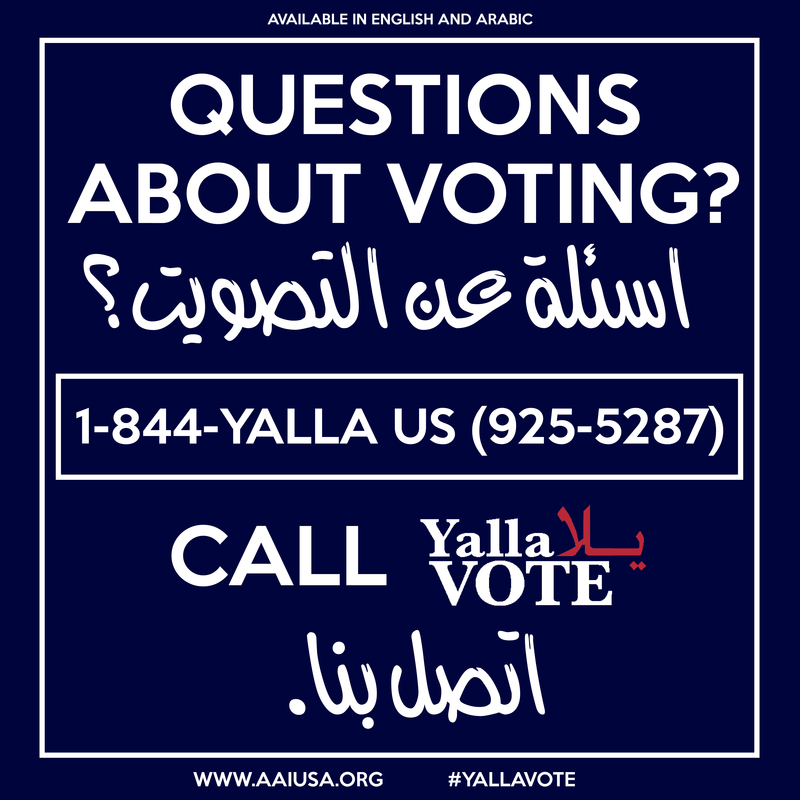 The #YallaVote Hotline can be reached at 1-844-YALLA-US, or 1-844-925-5287. DI Communications Working Group-- Next month's meeting scheduled for Thursday, August 23rd at 1 p.m.